H: Burton, I am going to take a trip to Israel during the first week of June for nine days. My wife doesn’t want to go. Do you want to go with me if I took care of expenses and paid for your trip? B: Are you for real? Or is this a dream? Truth be told, I really did think Hubert was “pulling my leg.” So, I thought to myself, Yes, I’ll go with you to Israel and, once we get back home, we can fly to the moon together! However, Hubert was serious. And, as they say, the rest is history. He and I travelled to Israel, which left me with enough memories to last a lifetime. No trip to such a country would be complete for a philatelist–i.e., a person who studies or collects postage stamps–unless and until he buys a few stamps. I could have left my tour group and gone to a local postal outlet, I suppose, but I chose not to. Instead, a couple of days before leaving the country for home, I dropped into a shop in our hotel. “Do you have any postage stamps?” I asked the proprietor. I was in luck. “I’m the only store in Israel that has them!” he exclaimed and exaggerated. 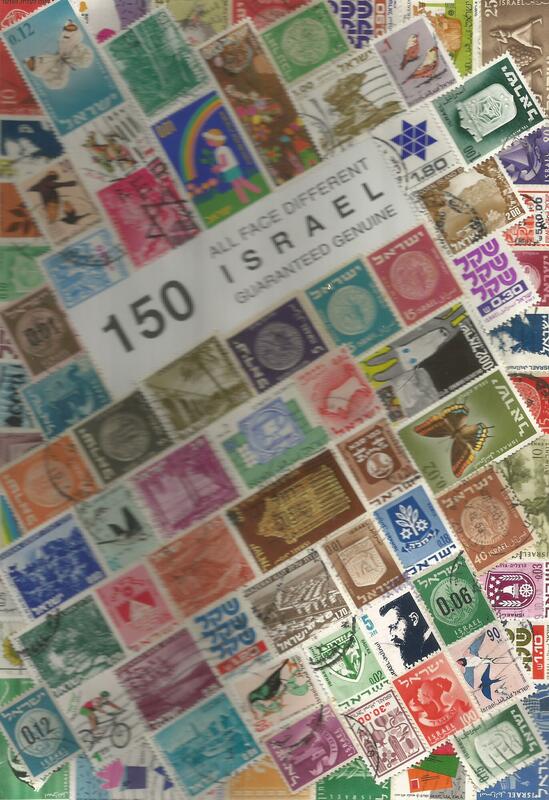 I purchased a selection of stamps, some of which can be viewed in the accompanying scan.